Automotive manufacturers are allocating significant resources to develop self-driving prototypes which are likely to be the answer to the question of how to avoid car crashes; but to live up to this expectation, drivers concerns about security must be addressed. Self-driving cars are definitely a hot topic now that most automotive manufacturers have thrown their hat into the ring. The greatest barrier to acceptance to machine driven cars is the fear of relinquishing control to a machine, we imagine the worst that can happen and the inability to intervien which in itself is utterly disconcerting. However the statistics show overwhelmingly that autonomous cars will be far safer than human driven ones. Overcoming this irrational fear requires that car manufacturers answer difficult questions with cold hard facts as antidote to fearmongering attention grabbing headlines used by the media. These are often related to accidents and security issues. Automotive manufacturers are allocating significant resources to develop self-driving prototypes which are likely to be the answer to the question of how to avoid car crashes; but to live up to this expectation, drivers concerns about security must be addressed. What's the Difference Between Modern 2016 Cars and Future Self-Driving Cars? Modern cars are already equipped with software that talks to your phone, Smartphone-Apps that enable us to open car doors, reheat cars, or arrive to our final destination without getting lost. Self-driving cars are very different from previous smart cars in that they were “only” using radio signals. Driverless cars need radars, lidar and cameras. Just like our eyes, the camera is an optical system but one that struggles in the dark i.e. in the night and in poor weather conditions, i.e. in a snowstorm. Radar, on the other hand, is good at detecting objects and how far away they are, but does not offer any information about the shape or size of the object. Lidar is between cameras and radars and it can detect both distance and objects. 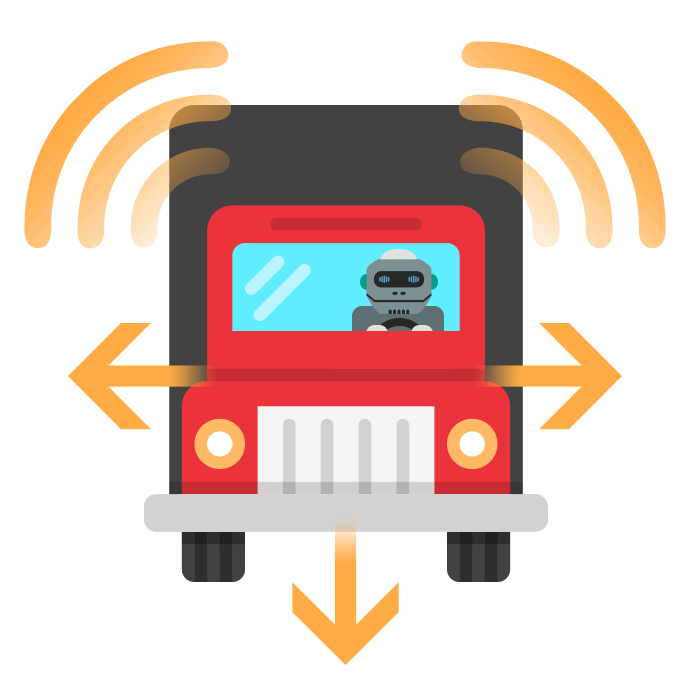 The communication of these solutions with each other plays an important role in building safer self-driving cars and it is the software that makes it possible. Driverless cars are operated by sophisticated software that allows them to safely control the vehicle on roads populated by human drivers. Software is becoming an increasingly essential component of vehicles. Todays ‘cars have more than one hundred million lines of code and this number is increasing without upper limit in sight. It is more than a commercial airliner built for transcontinental travel. No software is perfect or protected forever from hacker attacks and therefore it is important to constantly and quickly improve / update it. One of the biggest challenges of car manufacturers is to reconcile the speed of the encryption systems that is responsible for IT security with customers´ requirements. Security: Real Problem or Manufactured Rumour? Tesla is a highly innovative car manufacturer taking safety and security very seriously; however even they have fallen victim to some malfunctions which have damaged their reputation. In 2016, Tesla had to deal with a series of problems including a deadly accident caused by the failure of the autopilot system, a burnt-out pilot car and a Chinese hacker attack. In September 2016, the Chinese IT company presented how easily they could gain access to a Model S and make it brake by remote control. Software is an essential component but can never be perfect, there are just too many variables to account for to get everything right all the time. However, the advent of IoT and OTA updates to software can ensure a acceptable level of risk. As soon as a problem is detected in any single car amongst the many, a fix can be made and implemented across all cars of the same model /s (containing the flawed software) before car owners are even aware of any problem. There have been several recent examples of this, fixes carried out by Tesla. Daimler Freightliner Inspiration: Self-driving Truck Developed by Using ALM Software? Another good example is the first self-driving truck called the Freightliner Inspiration recently introduced by Daimler. The truck drives “alone” on the highway if certain weather conditions are met. It took Daimler two decades to develop this self-driving truck and they could not have developed it without an ALM software solution. codeBeamer ALM and Intland’s Automotive ISO 26262 Template enables all car manufacturers to implement mature processes and to save development time and expenses. Published at DZone with permission of Eva Johnson . See the original article here.